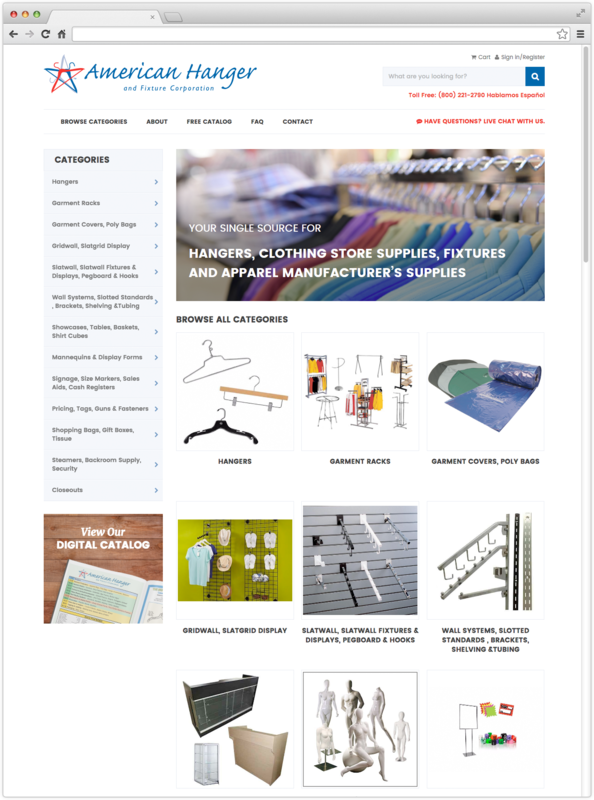 For over 50 years, American Hanger has been a national wholesale supplier of hangers, clothing store supplies, fixtures and displays for retail clothing stores and manufacturers. 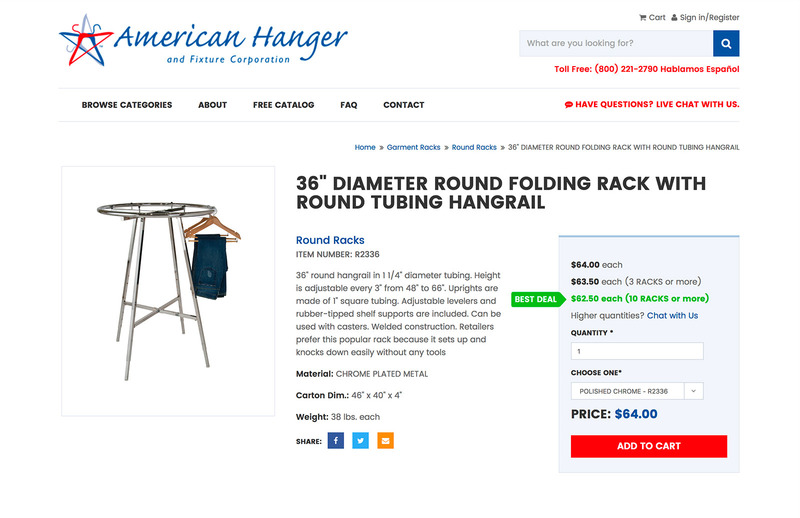 American Hanger came to Hudson with an ecommerce website that had not been updated since 2003. Not only was the company unable to make changes or updates to product pages, but the shipping calculations were also incorrect. The company’s main goal was to have a customized product management system so employees could update information easily. From a design standpoint, American Hanger’s old homepage used a lot of text which offered a poor user experience. Browsing was difficult because the navigation and categories were confusing and it was hard for users to navigate from page to page. 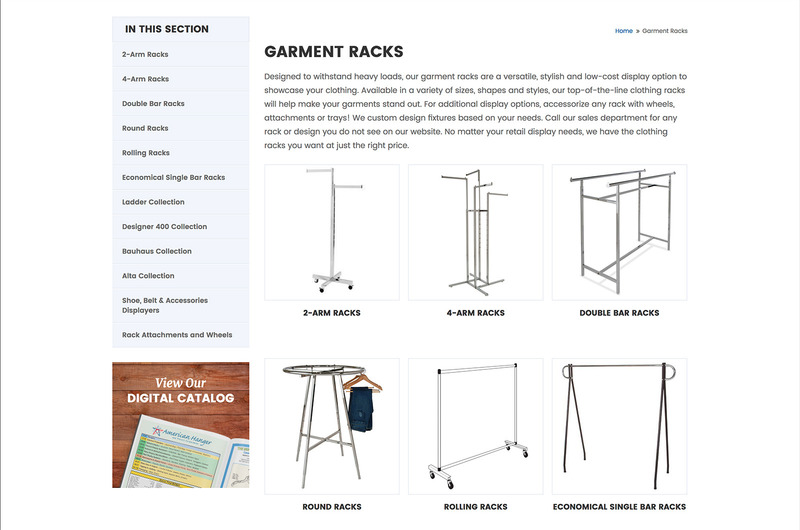 After many conversations with the American Hanger team and much research, Hudson’s development team built a CMS that made it easy to add and change products. We updated all product pages and easily displayed quantity price breaks. As for the shipping component - we provided them with a customized shipping tool integrated with LTL companies to ensure that the shipping calculations are always correct. Additionally, we developed a login feature that allows returning customers to purchase quickly and easily by securely saving their information. From a design perspective we wanted to make the buying process more visual from the start with a clean and modern homepage, using consistent and appealing colors and fonts. Based on keyword research and competitor research, our web design and digital strategy team were able to restructure the navigation and categories to make the browsing experience more user-friendly. Our creative and digital strategy team continues to offer search marketing strategies and tactics, to help increase SEO through improved UX, ongoing technical SEO updates, and ongoing content strategy.